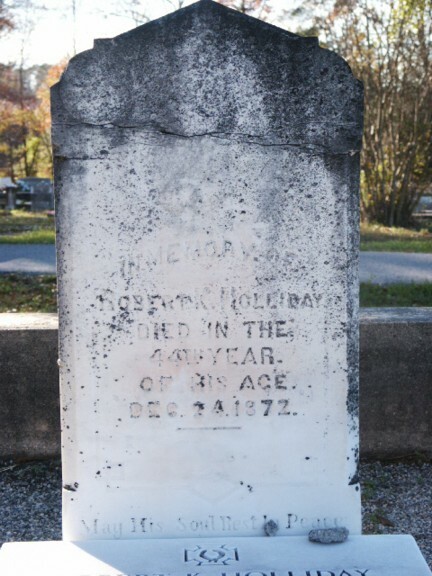 ROBERT KENNEDY HOLLIDAY was born 06 Apr 1829 in Laurens County, South Carolina, and died 24 Dec 1872 in Fayetteville, Fayette County, Ga. 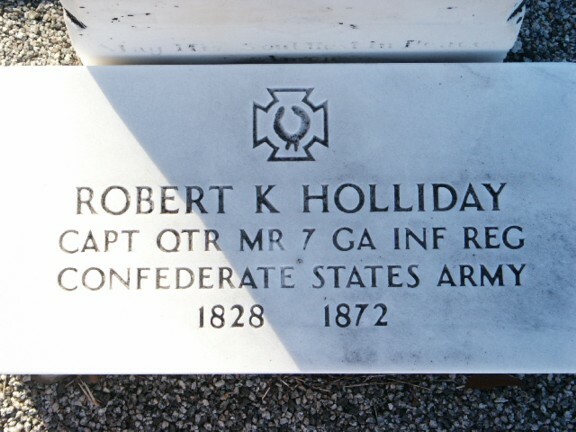 He was the sixth child of Robert Alexander Holliday and Rebecca Burroughs. He married MARY ANN FITZGERALD 06 Mar 1848 in Fayetteville, Fayette County, GA.. She was born Abt. 1832 in Georgia. MARTHA ANNE HOLLIDAY b. 14 Dec 1849, Fayetteville, Fayette County, Ga.; d. 19 Apr 1939.